What is a Corporate Surety Bond? Corporate Surety Bonds are big business, generating $3.5 billion every year. In general terms, this is the business of having a third party guarantee that a contracted party will live up to the terms of the contract or pay a penalty. There are a wide variety of Surety Bonds meeting specific needs, and while the most common application is in the construction industry, even the infamous bail bond is a form of surety bond. A Surety Bond should be looked at as a contract among three separate parties. There is the principal, or person who will perform a set act. There is the obligee, or person who is the recipient of the principal's action. 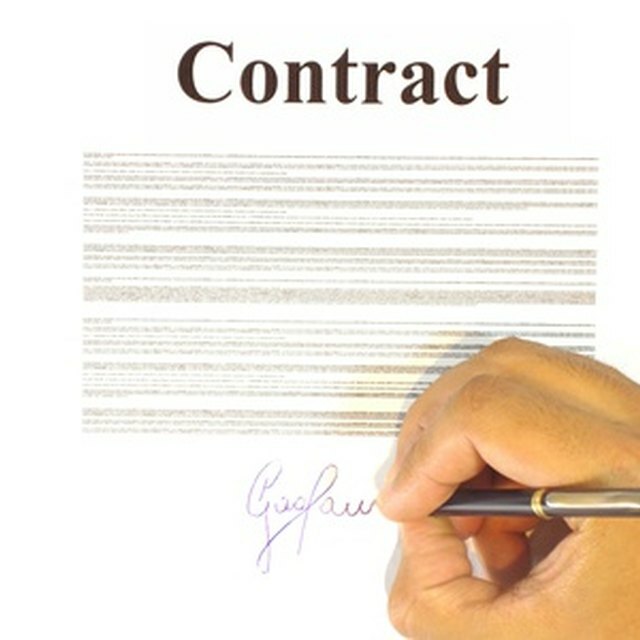 Finally there is the surety, or person who is obliged to guarantee that the principal does what he is contracted to do. If the principal fails to follow through, the surety must step into the principal's place. Surety bonds fall into three general categories. The unifying concept is the "penal sum," defining the responsibility of the surety and principal. This usually includes an amount of money, but may also include duties. First, bid bonds guarantees the obligee that the principal will sign all contract-related documents if they should win a bid process and be awarded a contract. Basically, if the principal bids on a job, wins the job, and balks at signing all relevant agreements, both the contractor and the surety become liable. Terms typically include payment of a sum based on what the estimate of doing another round of bids will cost. What Is Bonding in Construction? What Is a Performance Bond in Construction? What Is a Bonded Contractor? How Do Bail Bondsmen Make Money? A performance bond is a guarantee that the principal will complete the contract according to the set terms, especially as relates to price and time. Once again, the surety is liable along with the principal. These bonds give the surety three choices: seeing the contract completed themselves; joining the obligee in selecting a new contractor to finish the task; or allowing the obligee to finish the task themselves, with costs paid by the surety. Payment bonds guarantee that subcontractors and suppliers will be paid by the principal. In this case, the beneficiary of the bond is not the obligee, but the subcontractors. However, this benefits the obligee by making directing the ire of unpaid subcontractors towards the surety, rather than himself. According to Federal Law, all US government contracts exceeding $100,000 require payment and performance bonds. US government agencies are required to seek suitable alternatives to surety bonds for contracts between $25,000 and $100,000. Other surety bonds may be required, depending on the contract. All of the above detailed types of Surety Bonds are nearly universal in the construction industry. However, despite their ubiquity, and while nearly all contractors know how to go about getting a surety bond, many small operators in construction are not familiar with the specific legal obligations between the three basic parties involved. While Surety Bonds function might seem to be virtually a form insurance, in legal terms they are definitely not insurance, but instead a guarantee that a given contract will be fulfilled. An industry has grown up in America for providing the role of surety. The first company to provide this service was the United States Fidelity and Casualty Company of New York, established in 1880. Surety is now a major industry, bringing in premiums totalling $3.5 billion per year according to their trade association. A major example of how Surety Bonds are used outside of the construction industry is the Importer Entry Bond. This is a bond that guarantees the payment of tariffs and compliance with all regulations and requirements regarding the import of goods. These bonds may either be for a set period or transaction, or be continuous. Another type of Surety Bond is the Bail Bond. With this example, the principal is the accused person undergoing trial, the obligee is the government, and the surety is the bail bond company. If the accused fails to appear in court, the bail bond company is liable. The accused makes use of these bonds to raise the funds to pay their bail and secure release from jail pending trail. Typically defaulting in a bail bond results in the seizure of whatever was offered for collateral on the bond, and the bond company employing a bounty hunter to collect the accused.